The fireplace used to be the heart of the home. It was the gathering spot for the family and a necessity to life. Without one, you wouldn’t be able to cook, bake, or survive harsh winters. This isn’t the case today. 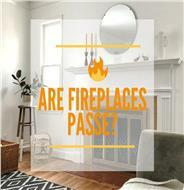 What’s keeping the fireplace trend alive is nostalgia. But even that’s on the decline. In the mood to go bold with your kitchen but need a little extra nudge to do it? A new trend in kitchens is going dark: fixtures, appliances, and (of course!) cabinets! 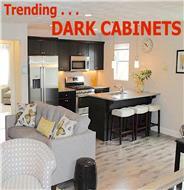 Here are our top five reasons why dark kitchen cabinets may make sense for you. 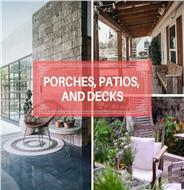 Magazines and television often inspire people to create their dream oasis, relaxing retreat, or perfect poolside barbecue for entertaining friends and family, so homeowners place importance on having decks, patios, and porches to expand their living space. 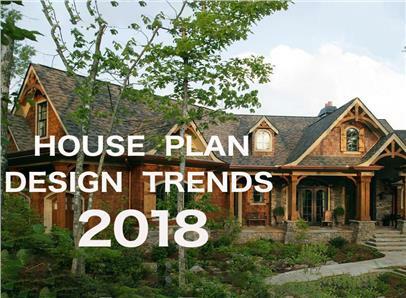 The data we’ve looked at clearly indicates that outdoor living trends continue to be on the rise. As a new wave of activism permeates the architectural field, the profession’s women are breaking new ground – and spearheading daring, innovative projects. 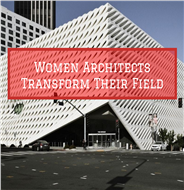 Poised to shatter cultural barriers, there is no stopping women architects who are focused and determined to create a lasting impact and, as a result, transform the industry. 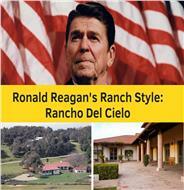 If presidents are defined by their homes, Rancho del Cielo – a 688-acre ranch nestled in the Santa Ynez Mountains – truly represented Ronald Reagan, who was a Westerner at heart. In this rural property about 30 miles northwest of Santa Barbara, the 40th President of the United States found peace, beauty, and serenity. Whether restoring and renovating a historic theatre and hotel or designing a memorial park or residences, Michael Marshall, Gabrielle Bullock, and Frank Christopher Lee have created a lasting impression in modern architecture. 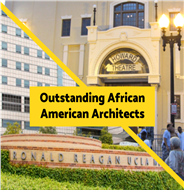 Their effort to drive positive changes in urban communities is an inspiration for the next generation of African-American architects. 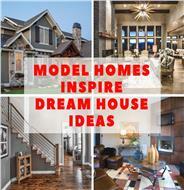 From color schemes, accent walls, and artwork to the hottest trends in kitchens, master baths, and fixtures, model homes help potential buyers visualize and personalize their dream homes. While you may not be looking to buy a house, give the home tour a whirl and get great design ideas for your future home. 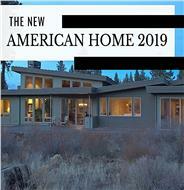 A state-of-the-art residence with spectacular views of Las Vegas and the Red Rock Canyons, The New American Home 2019 expertly blends contemporary style with mid-century architecture. 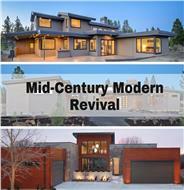 The 5-bedroom, 7,900-square-foot home is designed and built to showcase the latest in innovation for the future of home construction. 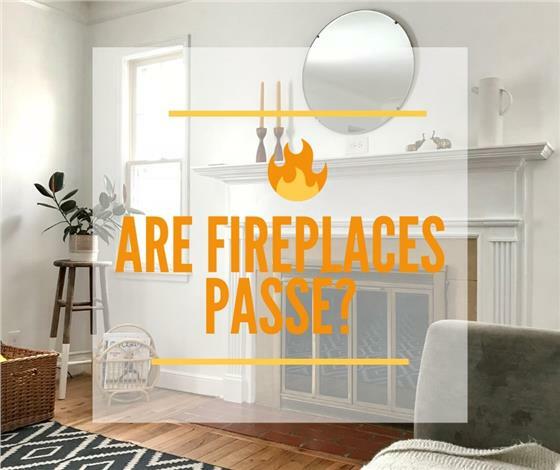 If you’ve been paying attention to trends in home design and décor, you’ve likely noticed the familiar lines and patterns of the mid-century modern look that dominated the decades between the 1930s and late 1960s. 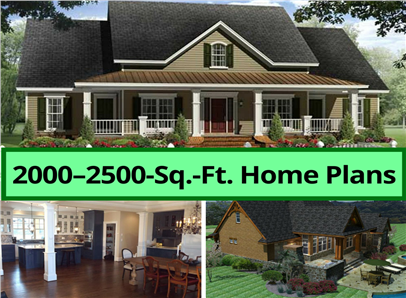 This timeless and sleek design style is also making an impression in the residential construction industry. Building a new home and want a knockout master bath? It’s easy to think only of cabinets, countertops, and fixtures. 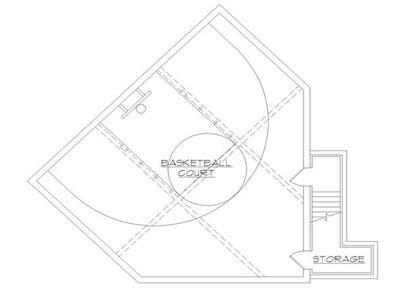 Few showrooms focus on wheelchair accessibility or designs for those who are unsteady on their feet. 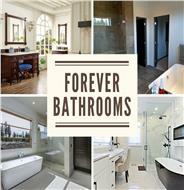 But these “less glamorous” considerations are a reality for baby boomers as they build their forever homes.